SafeTRX is a mobile phone app (iOS and Android) that has been developed for maritime use. 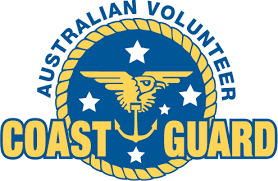 In Australia, the Volunteer Coast Guard provides a monitoring service for the app. Mobile phones are usually not kept turned on for extended periods during bushwalks. The ability to send out an emergency alert is a desirable feature. Australian Volunteer Coastguard receives trip information on their central console. Overdue trips are flagged for attention at the central console. SafeTRX provides a “location last seen” reported by the app when the phone last had a network connection. SafeTRX does shut down the app at low battery levels but the phone continues to try to maintain a signal with the network while turned on. Enabling the phone GPS required by SafeTRX increases phone battery usage and therefore also decreases battery operating time. Those with a good technical knowledge will recognise limitations, but non-technical people may rely on the app without fully understanding them. When visiting remote areas you must always leave your trip intentions with a designated safety contact. Mobile phone apps should not be used as a substitute for this process. While BSAR and Buswalking Victoria do not endorse SafeTRX for bushwalking usage, individuals can download and use the application.